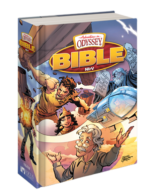 The Imagination Station book series continues its ascension into being the largest Adventures in Odyssey branded book series yet, with 17 titles in the series currently available and the 18th book on the way. Available October 2016, Trouble on the Orphan Train will be the next installment in this popular book series for early readers. When they step into the Imagination Station, kids experience an unforgettable journey filled with action-packed adventure. With each book, they’re whisked away with cousins Patrick and Beth to embark on a new journey around the world and back in time. This easy-to-read adventure is number 18 in the successful series that has now sold over 450,000 books in the series. Patrick and Beth arrive on an orphan train, heading west. They befriend an orphan who is falsely accused of being part of a train robbery. No one will adopt the child. Patrick and Beth stay with their new friend until the end of the line. All the while, they search for Eugene, who is missing somewhere in time. It’s encouraging to see a book series with a positive influence making its way into youngsters’ hands, with over 450,000 books sold in the series! The best part of all is that these books come from Focus on the Family, a trusted family ministry which has a global impact. And following all of the prior titles in The Imagination Station series, Trouble on the Orphan Train will be With vailable in paperback and e-book formats. 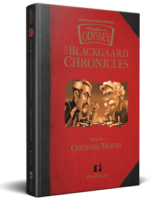 You can learn more about this upcoming book here, or view all titles in the series here. Do you or your family read books in The Imagination Station series? Shout out in the comments below!